Kansas officials have been reluctant to link the mysterious earthquakes in south central Kansas to fracking, but last week they said for the first time the temblors are likely caused by disposal of the waste water that is a byproduct of the oil and gas extraction process. “We can say there is a strong correlation between the disposal of saltwater and the earthquakes,” Rick Miller, geophysicist and senior scientist for the Kansas Geological Survey, told the Journal-World. It’s the first time state officials have so clearly stated the likely cause of the earthquakes, which are afflicting a region where fracking is widely used. During hydraulic fracturing, or “fracking” for short, operators use a mixture of saltwater and chemicals to break tight underground rock formations to release oil and gas. To get rid of the water after the fracking process, operators inject the water deep into disposal wells. Naming the cause of the earthquakes is, in part, a matter of semantics. Questions have long been raised about whether fracking activity is causing the earthquakes, and officials in other states have concluded that it has. But Kansas officials consider the waste water disposal a separate process, and so have not considered the fracking itself to be the key factor in the quakes. At issue now is what, if any, action to take. The state’s Sierra Club chapter wants Kansas to follow in the steps of New York, New Hampshire, Maryland and numerous local governments nationwide and call a moratorium on fracking. Others, including Lawrence Rep. Tom Sloan, ask where the nation will get energy if the option is off limits. Also at issue: Fracking has been a common practice for a long time, but the earthquake spike is relatively new. What changed? The number of earthquakes in Kansas went from none in 2012 to more than 120 in 2014, the Kansas Geological Survey has said. On Thursday, for example, a swarm of earthquakes hit Caldwell and Anthony, and Guthrie, Okla., during a 12-hour span, according to the USGS Earthquakes Hazards Program. The largest, magnitude 3.6, was just south of Caldwell. In other states with a surge in earthquakes, including Oklahoma, Arkansas and Texas, scientific studies and government officials concluded more than a year ago that the temblors were likely the result of injecting saltwater into disposal wells. But in Kansas, experts have said they were unsure what was causing the earthquakes. Were they manmade or were they naturally occurring? Gov. 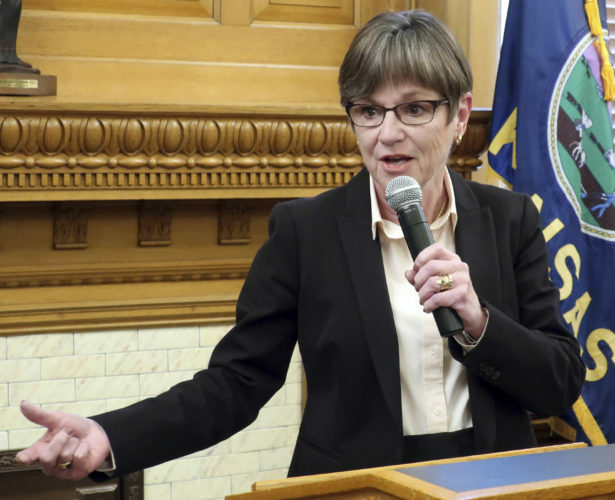 Sam Brownback a year ago appointed the Induced Seismicity Task Force to study the problem, and its report released in September said there was not enough evidence to link Kansas earthquakes to the hydraulic fracturing process. Buchanan said most questions from reporters and the public were related to fracking and earthquakes — and not disposal of saltwater and earthquakes. Buchanan said he does not consider disposing of the leftover saltwater to be part of fracking. “That distinction is tough for some people, and some people see it as semantic distinction,” Buchanan said. “I like to be technically precise about what is going on here. Buchanan said that the task force’s charge by the governor was to study the quakes and come up with a plan to address them. That charge did not include determining the cause of the earthquakes. A leader of the Sierra Club, which opposes fracking, said he was surprised to learn about Buchanan’s need for precise verbiage to explain the cause of the Kansas earthquakes. 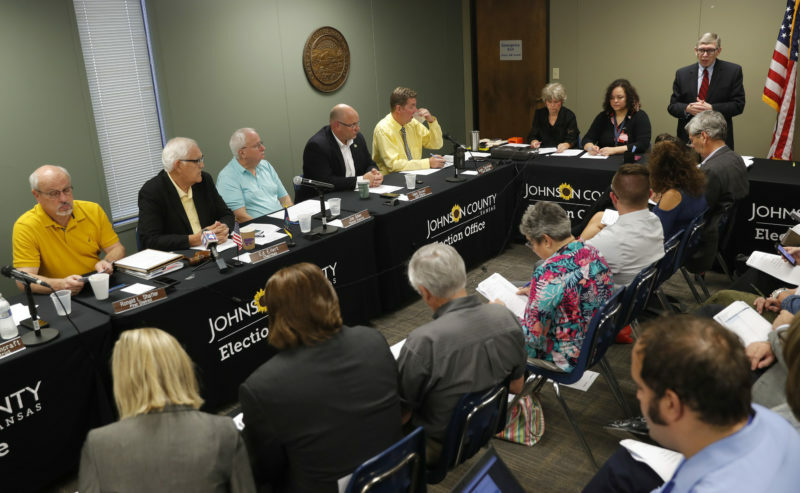 “He is not being sincere,” said Joe Spease, chairman of the Kansas Sierra Club’s fracking committee and owner of a renewable energy company in Overland Park. 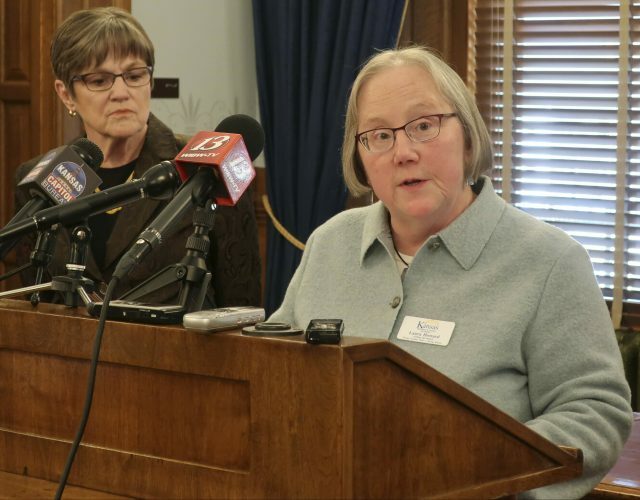 The Kansas Sierra Club supports a bill, not yet introduced, to impose a moratorium on fracking to give the oil and gas industry time to develop a solution to the saltwater disposal issue, Spease said. Sloan, a Lawrence Republican who has broad knowledge of state and federal energy issues, said a moratorium would have a detrimental impact on the economy. “If you want to stop the hydraulic fracturing or the depositing of liquid in disposal wells, where do you want to get your oil and gas to meet your needs in America?” Sloan asked. He has served on a number of Federal Energy Regulatory Commission committees and task forces. “How do you draw the line … as you are trying to come to terms with this? If you don’t allow fracking, you will shut down the entire industry,” he said. Sloan said experts have a good idea of why the saltwater disposal is causing earthquakes. Fracking, he said, has been done for decades. Kansas is where the technique was developed, and saltwater disposal was done safely without causing earthquakes until recently. One thing changed: For years there was only vertical drilling. Now there has been an increase in horizontal drilling, a process that requires much more water, which eventually must be disposed of. Sloan said the Kansas Geological Survey and scientists around the country along with the industry are working to answer those questions. Government scientists also are working to find alternative ways to dispose of the water. So far those alternatives, such as transporting the water to another site or stripping the salt and other chemicals from the water, are too expensive, industry experts have said. In Kansas, the geological survey scientists have installed additional seismographs in Harper, Sumner, Sedgwick and Kingman counties to measure the unusual seismic activity, said Miller with the survey. Miller said scientists have seen seismic activity moving northward through Oklahoma into southern Kansas and are trying to get a better understanding of why. 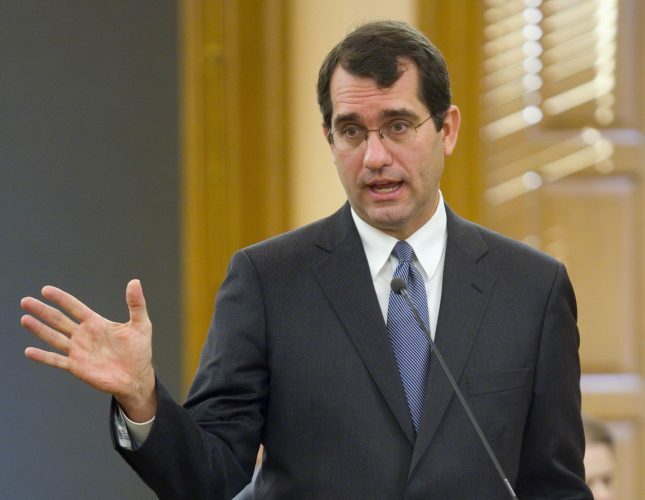 Something that may help Kansas is that most of the major drillers such as ExxonMobil have left the state for Oklahoma and Texas, which could reduce the number of new injection wells, Sloan said.